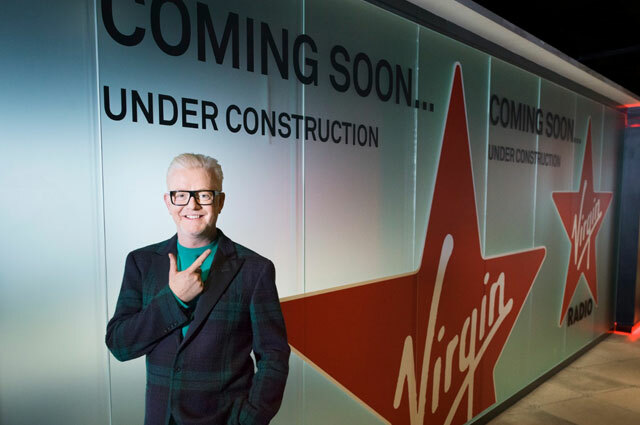 Radio presenter Chris Evans has hosted his first breakfast show on Virgin Radio. This morning the first song was played live by Richard Ashcroft, who performed several songs during the show. Other guests included Fay Ripley and comedians Romesh Ranganathan and Rob Beckett. The programme will feature guests all this week with KT Tunstall also due to perform live. The programme has no advert breaks and is sponsored by Sky. Some of the team from BBC Radio 2 have also moved to the new programme, including sports presenter Vassos Alexander. Rachel Horne presents the news and travel updates. The programme will include the Big Screen Belter, Golden Oldie, Gobsmackers and Representing the Nation. Kids doing something for the first time will be featured in Kids for a Fanfare. Chris Evans announced he would leave BBC Radio 2 last September. He hosted his final programme on Christmas Eve after eight years at the station, where he took over from Sir Terry Wogan. The launch of the new Chris Evans Breakfast Show is the latest in several high-profile schedule changes this year. Zoe Ball began hosting the BBC Radio 2 breakfast show last Monday, while Sara Cox took over from Simon Mayo on the same day. Lauren Laverne has moved to the breakfast slot on BBC 6 Music. The show is being hosted from The News Building near The Shard in London. The building is home to parent company News UK and its publications The Times and The Sun. Former breakfast show hosts Sam and Amy have started new shows on the station. Virgin Radio is available on DAB digital radio, Sky channel 0215, online, smart speakers and smartphone apps. The station launched in 2016 alongside new stations talkRADIO and talkSPORT 2. The original Virgin Radio, where Chris Evans hosted the breakfast show in the 1990’s, was sold and renamed Absolute Radio in 2008.